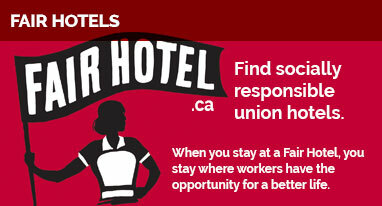 UNITE HERE Local 40 has reached a tentative settlement with 47 hotels, pubs and liquor stores across BC. The employers are represented by Hospitality Industrial Relations. The tentative deal includes substantial improvements in medical coverage, providing some of the best medical benefits for Local 40 members, and a good wage and pension package. The Union Bargaining Committee is recommending a “Yes” vote to accept this contract offer. The ratification process will be completed on December 12, 2013. More details will be provided after that date.